THE concession to operate the Kenyan section of the metre-gauge Kenya to Uganda railway was terminated in July 2017. This line is known as the Rift Valley Railway, as it traverses the Great Rift Valley. The Ugandan government has also started the cancellation process for its section, which will become effective in September. 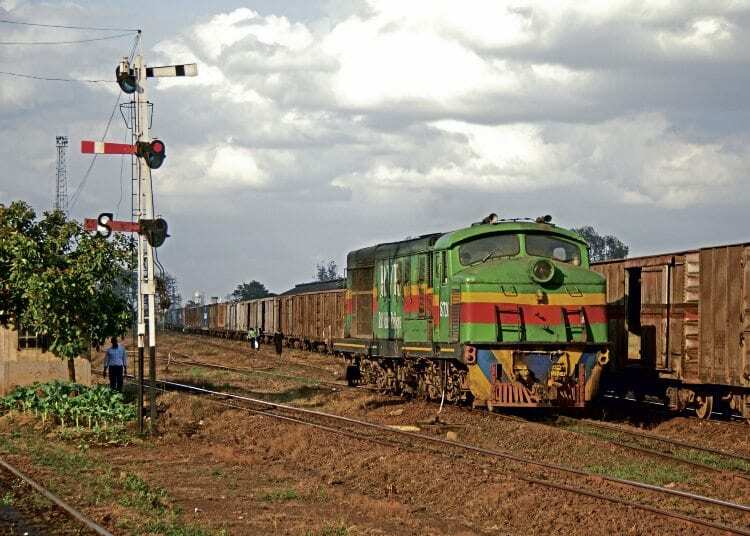 The Rift Valley Railways consortium is led by Egyptian investors, but had not paid various fees due under the contract during 2017, according to the Kenyan government. The metre-gauge line from Mombasa was built between 1896 and 1901 by the British colonial government, largely using labourers brought to Africa from India, more than 2,500 of whom died in the process, most from disease, although some from attacks by lions. The line is now largely moribund as a new Chinese-built (and funded) 472km standard-gauge line opened between Mombasa and Nairobi on May 31, 2017. This new line was built in just 30 months at a cost of US $3.6billion. Both freight and inter-city passenger services are being operated on it. Extensions to the new line are already being planned or under construction, and it will eventually connect Kenya with Uganda, Rwanda and South Sudan.